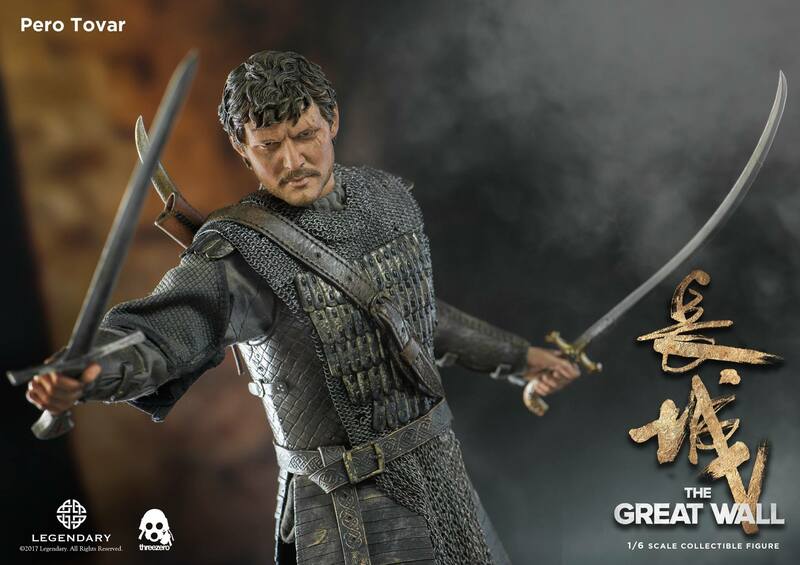 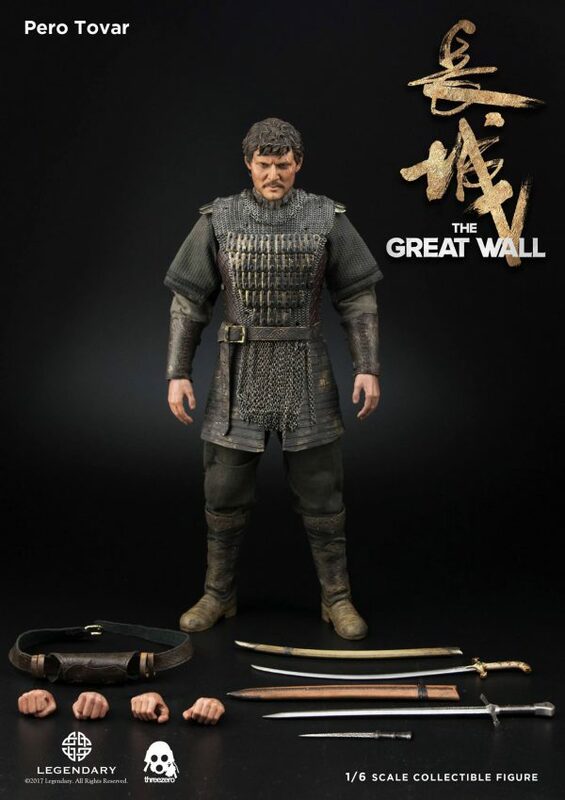 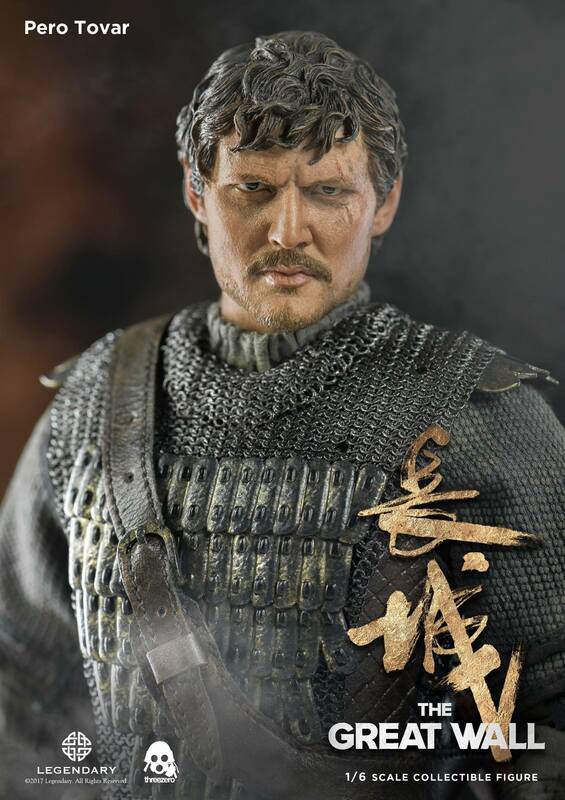 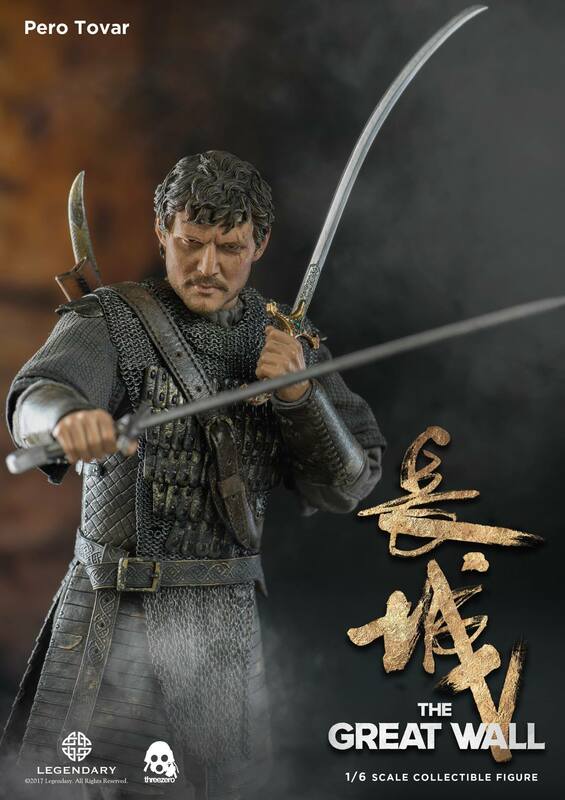 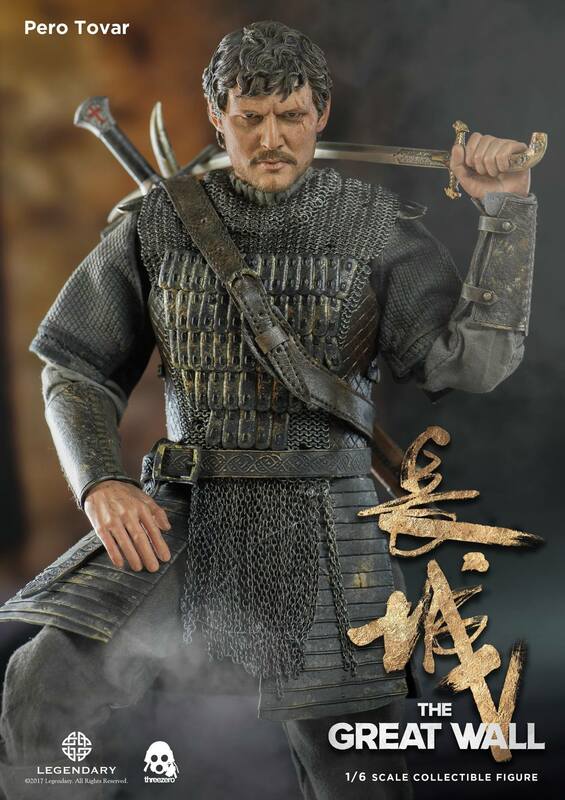 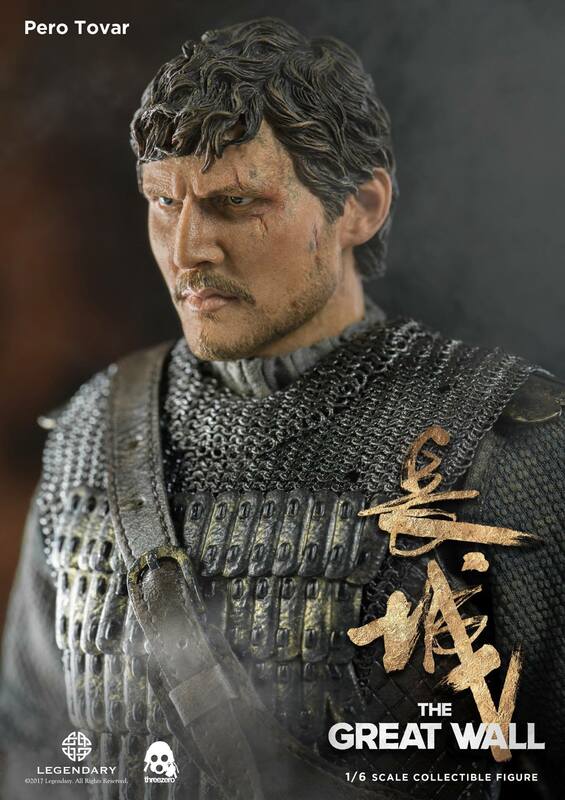 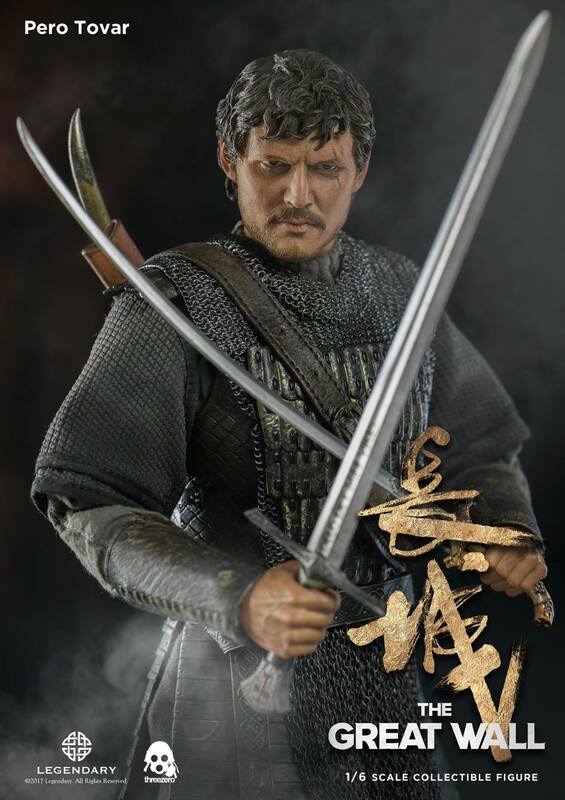 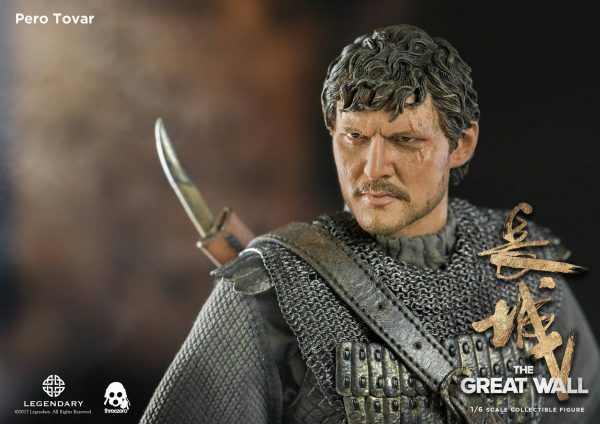 1/6th scale Pero Tovar collectible figure, from our new “The Great Wall” movie license, is available for pre-order now. 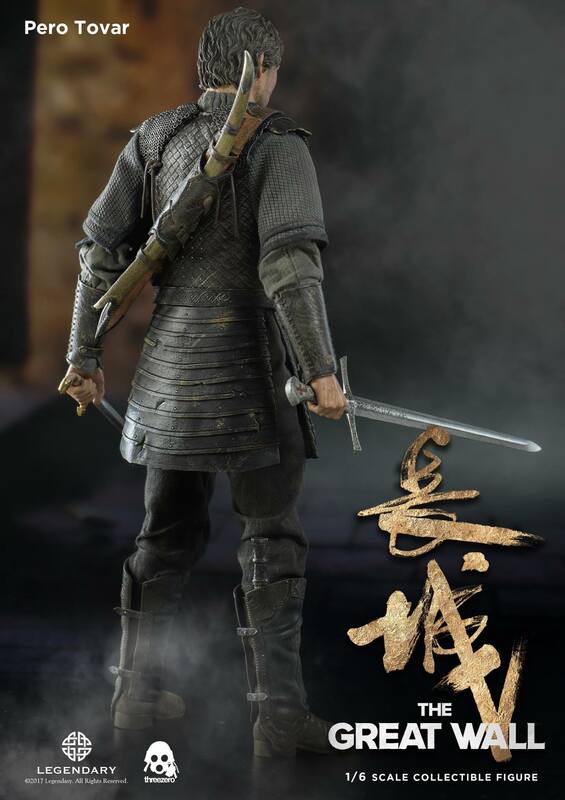 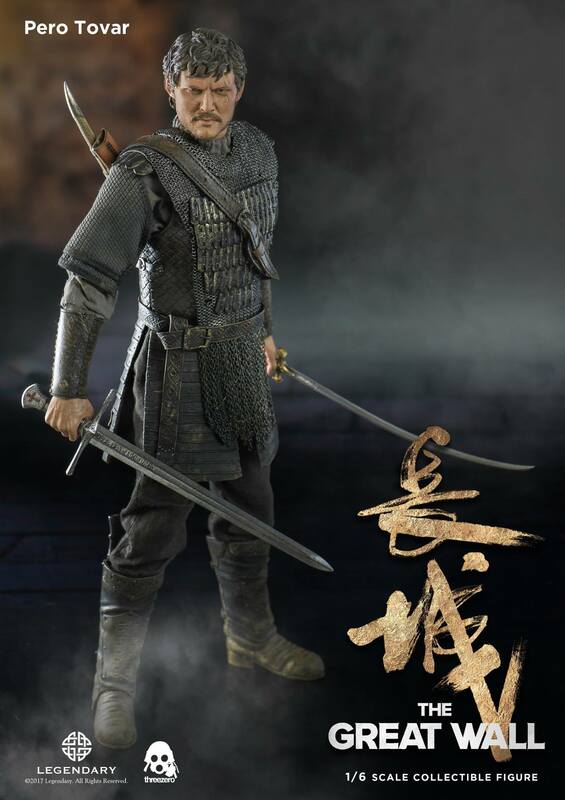 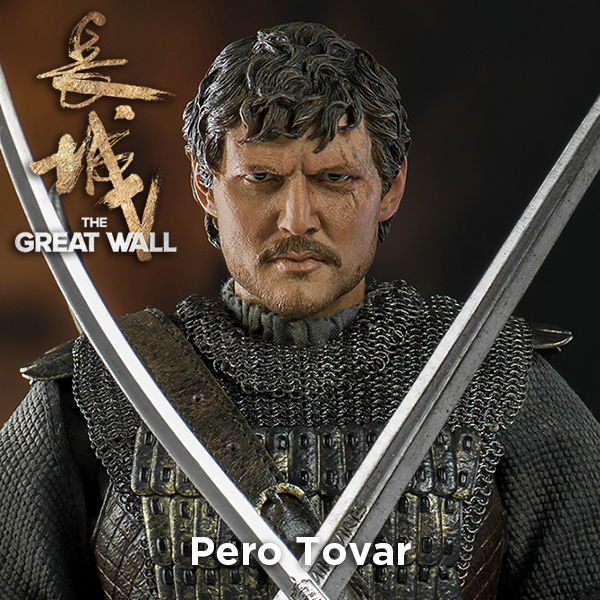 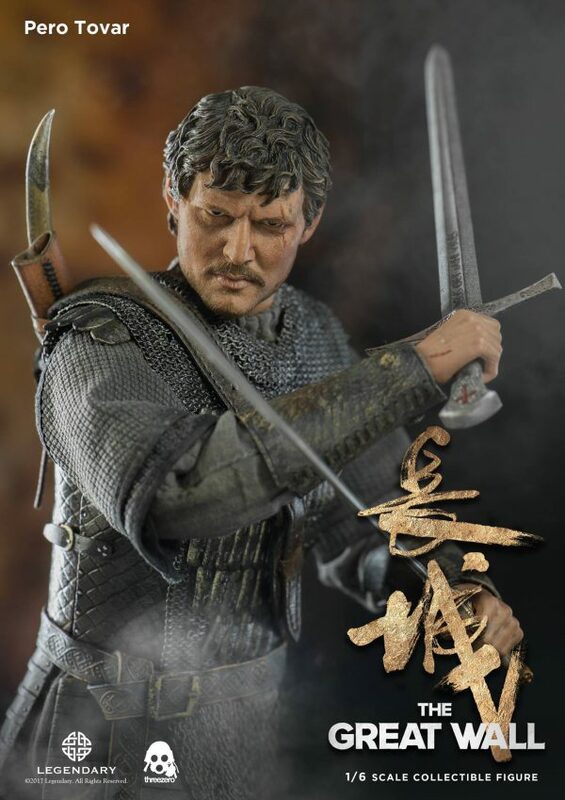 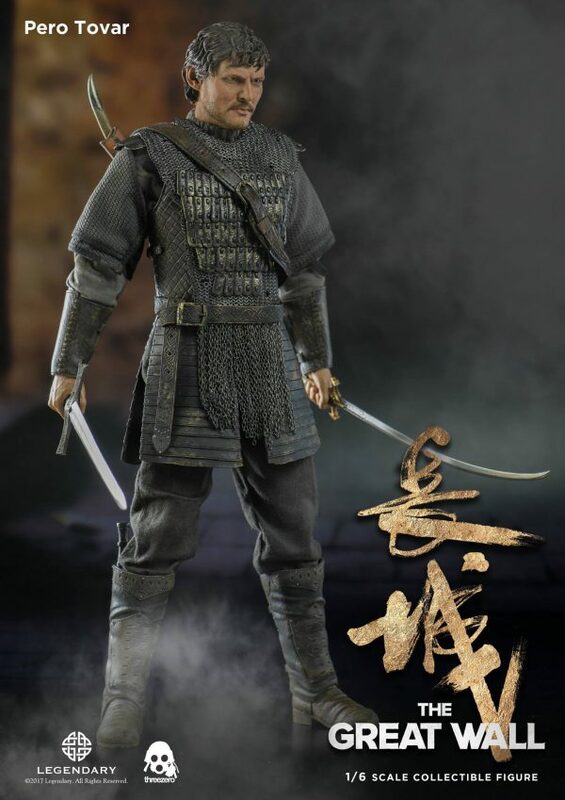 Pero Tovar collectible figure stands approximately 12.2” (31cm) tall and features highly-accurate realistic likeness to the character’s appearance in “The Great Wall” movie. 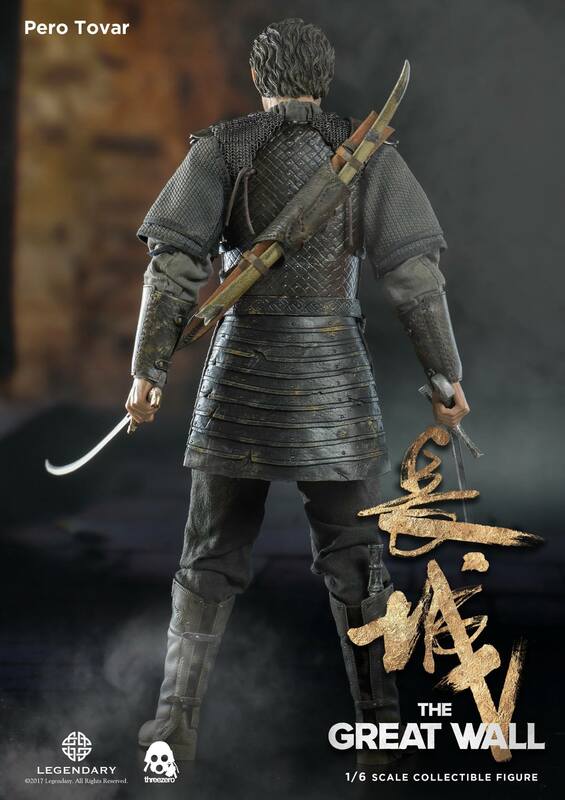 Collectible comes with tailored clothing and highly detailed armor outfit and weapons. 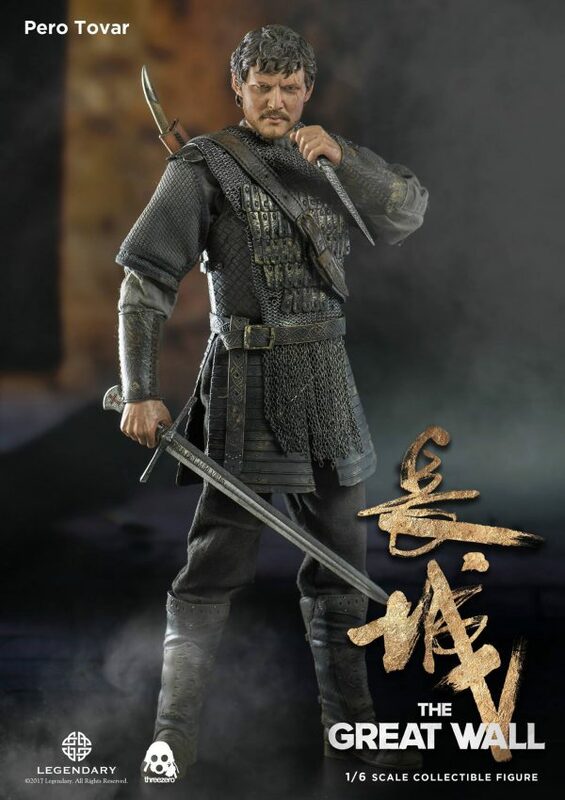 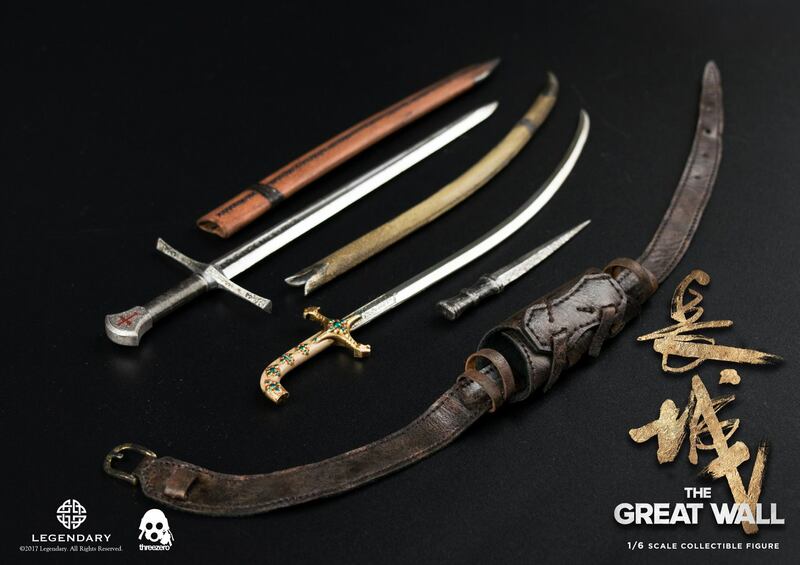 Figure comes with Sword with Scabbard, Scimitar with Scabbard, Dagger and Three Pairs of Exchangeable Hands.